Improving your home’s curb appeal doesn’t have to be a costly venture, although this is a common misconception. It can be a budget friendly venture that adds loads of impact to the look of your home’s exterior. There are many things that any homeowner can do to take a lackluster home from drab to delightful, without going broke. This doesn’t have to mean buying new sod and landscaping a whole new yard. Often, you can turn your yard into a real stunner by simply cleaning it up. 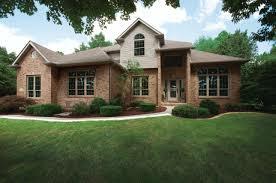 Trim hedges, pull weeds and clip any overgrown vines or bushes. Also, taking the time to fix anything in disrepair is can help polish your yard’s appearance. Many sealants and bonding products like ceramic fiberglass can be used to repair a variety of things. Adding flower boxes are another example of an inexpensive way of adding to the natural charm of your home without spending a lot of money. Cleaning up and adding a few impactful touches can actually be inexpensive and effective at bringing everything into sharper focus and creating a clean fresh look. It doesn’t take painting the entire exterior of your home to give it a new look. Believe it or not, simply painting the trim around your windows and your door frames can be incredibly eye-catching. Go a step further and freshen the paint on your front door or change the color and you’ve really made a transformation. Amazingly, painting a few key areas of your home’s exterior can have the same impact as painting the entire house. Getting expensive siding or paying for other costly exterior fixes may be out of the question when you are on a budget but don’t despair, adding a few accents can often do the trick. Hanging a few seasonal and beautiful plants near your front entrance can often add a polished yet warm touch to the overall look of your home. Even adding a few well-placed exterior lights can rev up your home’s exterior. If you’re concerned about creating an expensive light bill, solar lighting can be a good alternative. Giving the exterior of your home an impressive facelift doesn’t have to be expensive or difficult. A few strategic accents, a little paint, and a little TLC can work wonders when it comes to transforming a dull and uninspiring exterior and boosting curb appeal.